Chandol area will soon become plastic bags free. 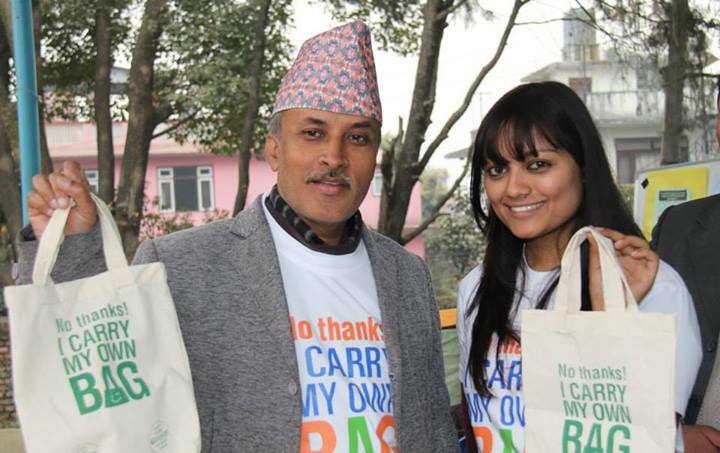 It will be the first large colony (residential area) in Kathmandu to go for community enforced ban on plastic shopping bags. ‘No Thanks! I Carry My Own Bag’- a campaigg of GenNep Nation First is engaging hundreds of volunteers to work towards the cause. With activesupport of Bishal Milan Kendra (BMK), an active community club of Chandol, the campaign took its first step to introduce the idea of environment-friendly shopping bags at a large social gathering. Various events and activities are running under this process of making Chandol plastic bags free. Several active volunteers are interacting continuously with the local residents making them understand the campaign and the need to ban plastic shopping bags to make our environment clean and green. The volunteers are visiting schools of the area to generate awareness amongst the young students and to inculcate healthy and environment friendly habits in them. The locals of Chandol seem very excited about the campaign and are supporting to make it successful in their area.